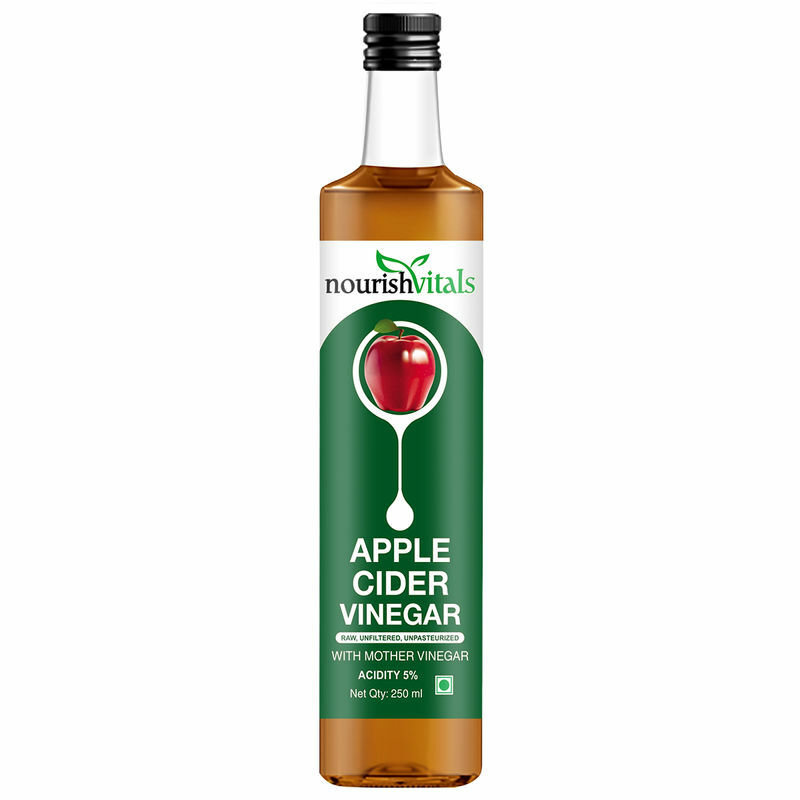 Freshly concocted with the finest quality of select apples grown in the orchard of the pristine hills of the Himalayas and "Mother" of vinegar, Nourish Vitals’ Apple Cider Vinegar is a pure apple juice that is a dietary supplement and a natural solution to your weight management. It is a pure apple juice fermented to 4 per cent acidity and contains no artificial colour, preservatives or flavours. It caters to both men and women. It is also has numerous other non-health benefits like hair conditioning, dental care and as a cleaning agent. It does not have added sugar or added preservatives. It is raw, unfiltered and unpasteurized. Additional Information: Nourish Vitals is known for offering organic, healthy food products, which are a boon to your fitness and immunity. 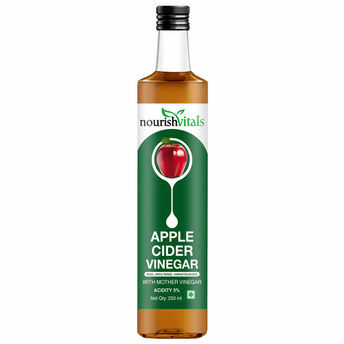 Say good bye to your weight issues with Nourish Vitals Apple Cider Vinegar.